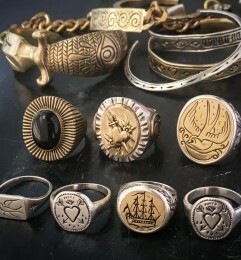 Founded in 2006, LHN Jewelry is dedicated to the craftsmanship of making unique, handmade Jewelry and Accessories. Inspired by antiquity, crafted to last as future heirlooms. Proudly made in Brooklyn, New York.